Today was a good day. I was so happy to stop by the house while the tapers were there. I had caught them working yesterday, taking over where the sheetrockers had left off, but was without my camera. 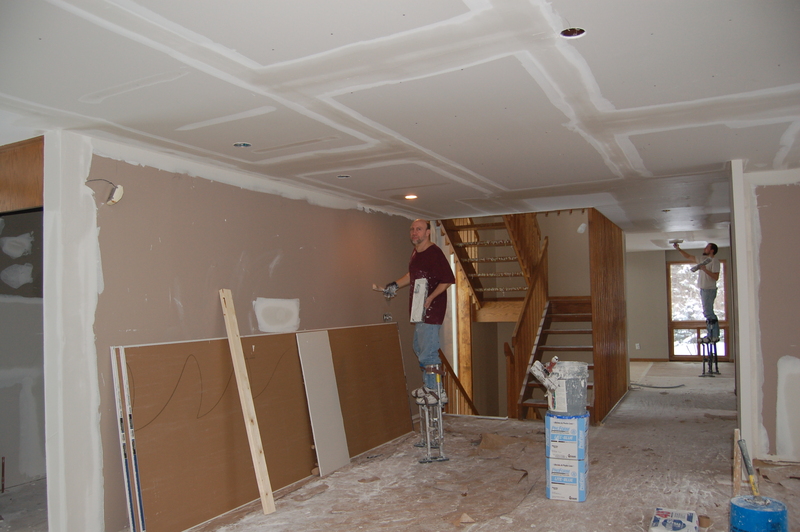 I was thrilled to see the ceiling up and it made the whole space feel light and spacious. And, how fun to watch them move around on those stilts! So, I was really glad I was prepared to take a few shots today. And there’s no better way to break the ice than getting out a camera. 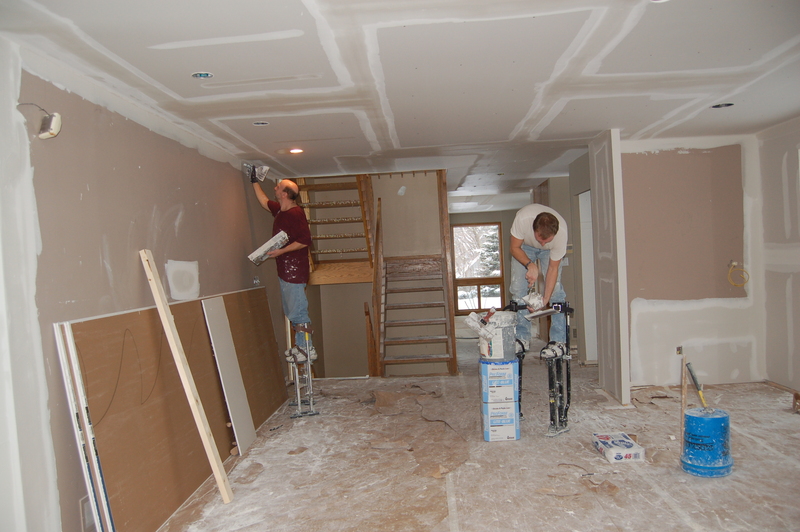 Tapers Floyd and Daniel laying the foundation for a brand new ceiling. As soon as I told Daniel I was going to take a few “action shots” and he didn’t have to smile, he couldn’t help it. Floyd demanded any royalties earned using his picture. I told him he had better keep his day job! Seriously, these guys were hams, and so super friendly. I swear, the people I have met so far working on my house project are incredibly personable and appear to be very happy! 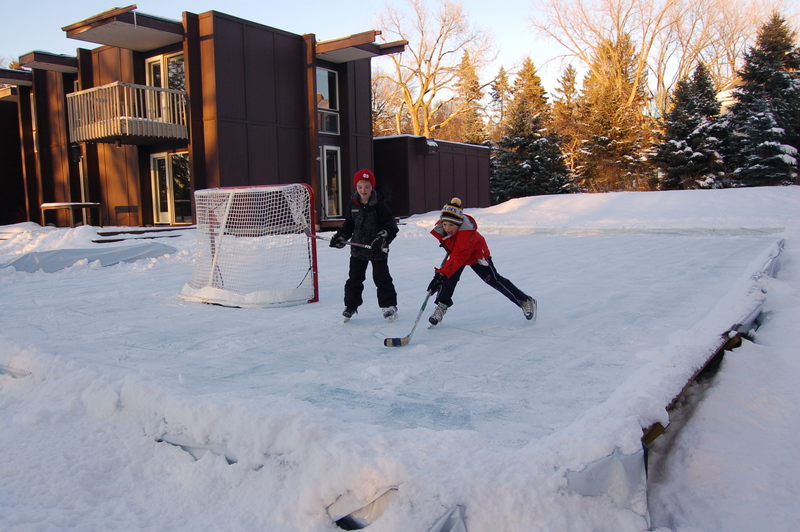 My middle son with his buddy on the backyard ice rink. If we can’t enjoy the inside of the house yet, at least the kids can take advantage of our new yard! Your home is amazing and I commend you and your family for taking it on and SAVING IT! I look forward to following your progress. 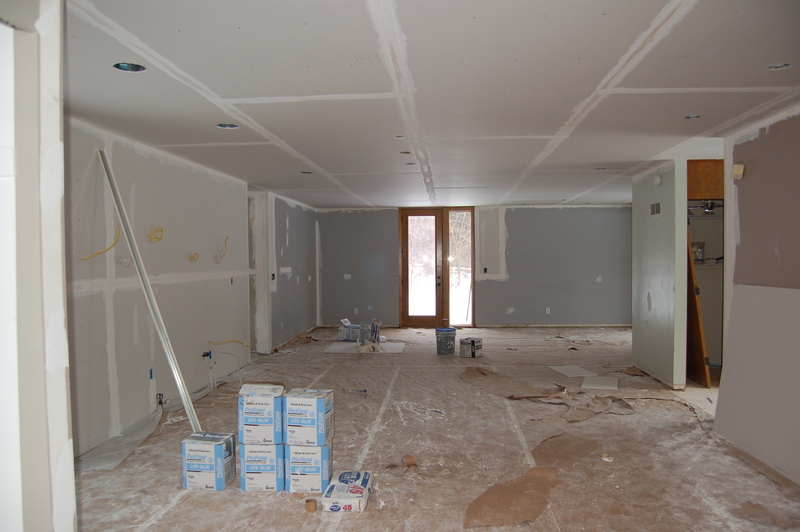 It’s amazing how sheetrock, even unfinished, makes you squeal with excitement, isn’t it? 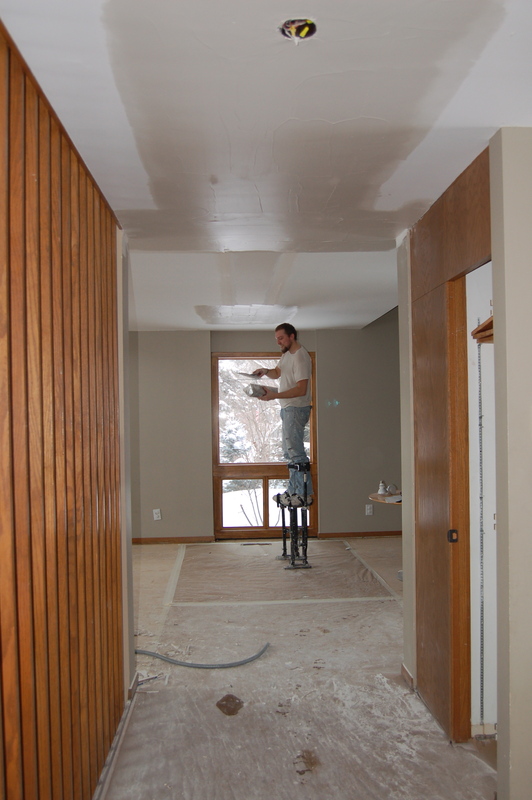 We are renovating (and have been for 3 years) our very quirky little mid-century modern home and we’re doing everything ourselves so I cant totally relate to your experience… and fear. So far, I’m incredibly jealous and totally in love with your home. It’s going to be GREAT! Thanks for the encouragement! I just took a quick peek at your blog. Amazing! Have to run over to the new place to meet our builder, but as soon as I get back, I am going to make some hot tea and take my time to enjoy it. I can tell, you will be a source of great inspiration!